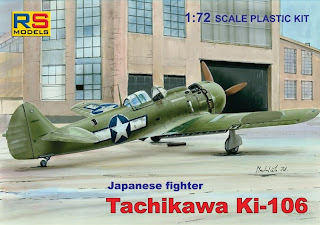 I recently caught up with the RS Models 1/72nd scale Tachikawa Ki-106, released in two versions last year. RS Models continue their trend of releasing kits of more unusual Japanese types but unlike some previous releases these are all plastic with no resin or photo-etch additions. Personally I prefer that but some may view the price as being rather expensive without these enhancements. The two kits contain identical parts, differing only in the markings options offered in each. 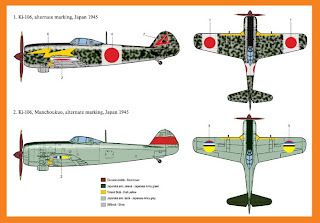 Kit # 92057 offers the "historical" options of the second prototype in Japanese markings (although the number '4' is included on the decal sheet!) and the same aircraft after capture in American markings. 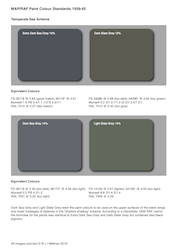 Both are depicted as being plain dark green over grey with brown prop and spinner. 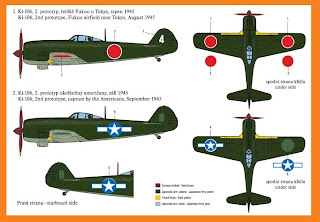 A more probable finish would be the standard olive drab # 7 colour (ohryoku nana go shoku) applied to the Tachikawa-built Ki-43 III Ko and the Nakajima Ki-84 Hayate, with the distinctive green prop and spinner of these two types. 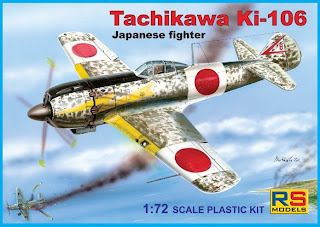 Kit # 92058 offers the more fanciful alternative of imaginary "what if" markings for a fighter in Home Defence service and an aircraft in Manchoukuo service. 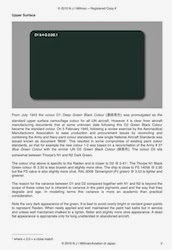 The suggested scheme for the Home Defence version of green mottle over "silver" seems improbable for a predominantly wooden aircraft - even as an imaginary finish. 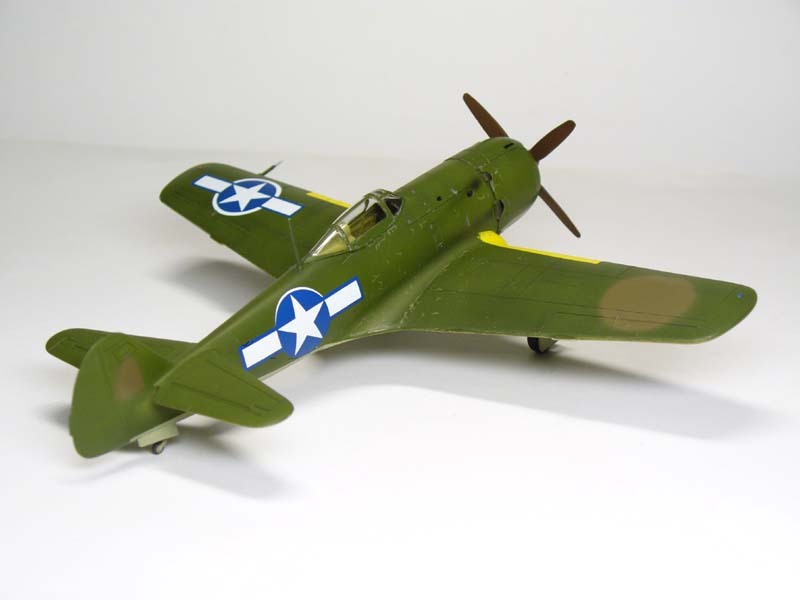 The Manchoukuo fighter however is splendidly unusual in a mixed dark green and grey-green finish. Although not as shown on the box art the RS gallery model sports natural metal and additional dark green areas. The gallery model also shows a unit marking and presentation markings which are not included on the decal sheet. The kit is molded in RS Models usual buff coloured plastic on a single main sprue frame with the upper wing halves on a small separate sprue. A single piece injection molded canopy and the decal sheet complete the inventory. The kit reproduces the appearance of the Ki-106 quite faithfully with the enlarged fin and broader chord rudder, blunt wing tips and larger wheels of the type but otherwise it is essentially similar to the Ki-84 Hayate from which it was developed. 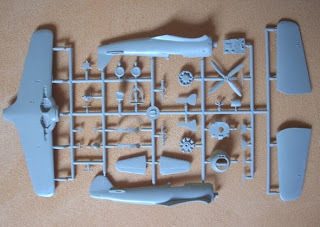 Contrary to some rumours this does not appear to be a direct copy of the Hasegawa Ki-84 as there are some notable detail differences, a two part radial engine where the Hasegawa kit has only a single relief molding and seperate exhaust outlets where the Hasegawa kit has these as integrally molded fuselage details being just two I noticed. The cowling is also a separate one piece molding with separate cowling flaps. The spinner does mirror the older technology of the Hasegawa kit, being a single piece with cutouts for the blades and no back plate. Surface detail is finely engraved but the detail in the wheel wells is a little "soft". There is a little flash on some parts but it is not obtrusive. Interior detail consists simply of a floor, seat, control stick, rear bulkhead and instrument panel but the parts are neatly molded and feature engraved and raised details as appropriate. The fuselage halves have integrally molded sidewall detail. Only seat belts will be required to furnish a cockpit sufficient for the scale, especially if the kit canopy is used. When the first prototype Ki-106 was completed in the Ebetsu workshop of the Ohji Paper Company Limited, a contractor to Tachikawa, it was apparently quite something to see, the wooden structure being sealed with lacquer and polished like "a fine piece of furniture". 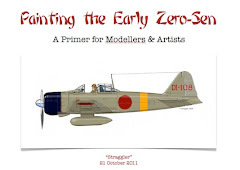 It might be interesting to try to represent that pre-painted wood finish with this kit, adapting some of the techniques more familiar to WWI aircraft enthusiasts. 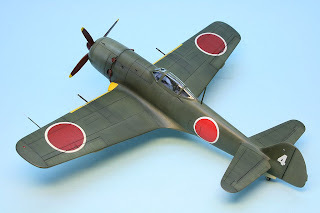 The accomplishment of the established Hayate form in wood by Tachikawa engineers Shinagawa and Nakagawa was no mean feat and for that alone this aircraft probably deserves recognition and inclusion in a collection even though only four examples were built. Thank you for posting, this does look like an interesting little kit. Not sure about that first photo of the built up examples.It seems as if the cannon tubes on "white 4" are a bit too long? The second and subsequent prototypes dispensed with wing armament altogether because of weight issues. 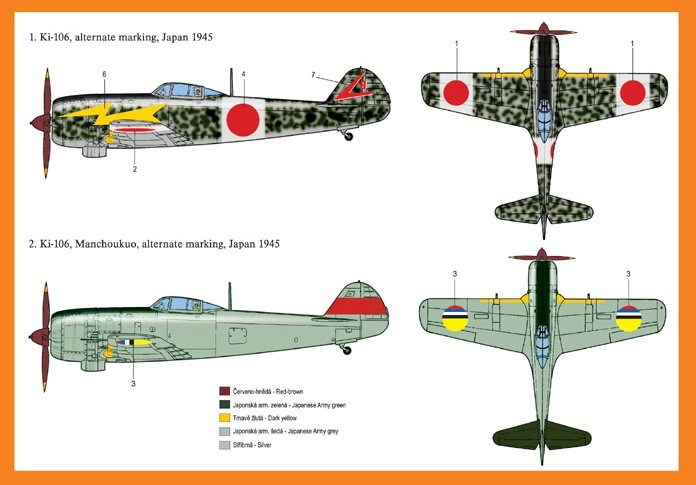 Therefore I think that the combination # 4 tail number and wing armament is unlikely. 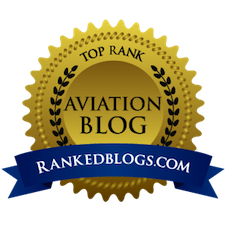 I'll add some more to the blog about the Ki-106 development and flight testing. you wrote that only four Ki-106s were built. According to some Japanese sources 10 examples were manufactured by three different companies (one of them is Tachikawa´s subsidiary). 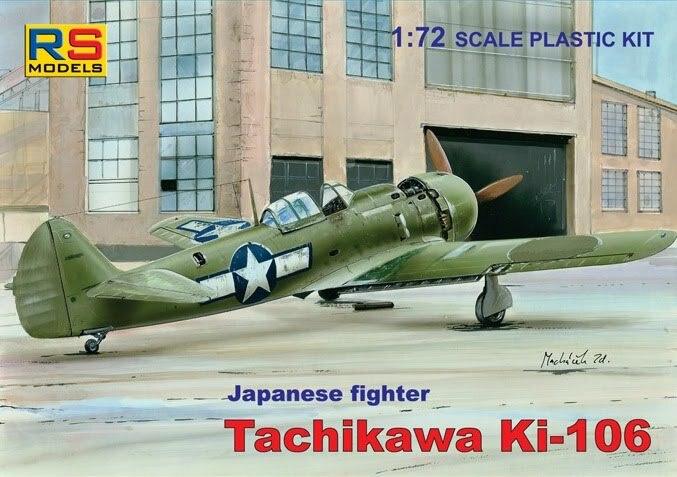 "Variations that actually existed included the Tachikawa Ki-106, a wooden version of the plane . . .The Ki-106's performance deteriorated so severely that only 10 were built and these were used as trainers." In concurrence with Leszek A Wieliczko I am sceptical about this statement and would like to know more about the origin. Used as trainers? 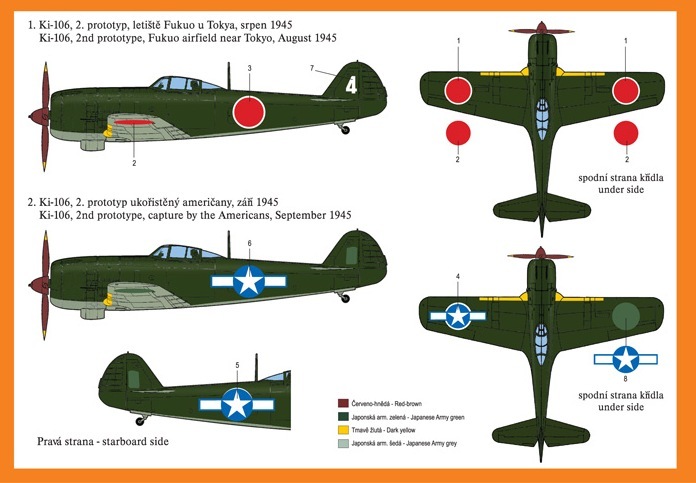 The well documented air testing of the first prototype at Fussa extended into August 1945 and the in-flight damage from that resulted in modifications to the second prototype. I doubt that 10 prototypes could have been built by that stage. 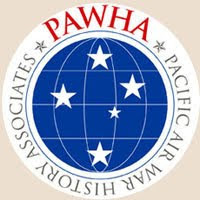 And the logistics of similar or identical examples being built simultaneously by different companies seems doubtful given the role of the Tachikawa engineers and the incremental "problem and solution" nature of the prototype build and air-testing. As the air-testing had not been completed by war's end it seems highly unlikely that any examples would have been used as trainers. Richard M Bueschel records only 4 prototypes manufactured but it could be that either a requirement for 10 pre-production examples had already been articulated or that as a result of the flight testing only 10 examples were authorised to be built for ultimate use as trainers. If there is more substance to this story or further sources to be mined please provide them, thanks. Gakken books are far valuable than Nohara-san´s works in my eyes....is the old research of Mr. Bueschel more accurate? Thanks for the additional information. It is very interesting but I remain sceptical. Ohji was the paper company mentioned in the original posting at Tomakomai in Ibure, Hokkaido (with a rather successful ice hockey team) whilst Kureha was a plant engaged in cotton and textile spinning industry at Toyama in Honshu. I suspect these plants may have been engaged in manufacturing components or materials for the Ki-106 rather than whole aircraft and that something may have been "lost in translation". 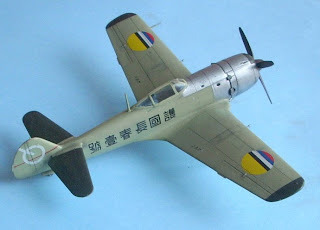 The concept for the Ki-106 was that manufacture would be dispersed to small workshops gathered around assembly plants. Having said that I could see that parallel builds of the prototypes might have been considered as a safeguard against bombing despite the logistical difficulties. The translation of the original text was done by my Japanese friend. He is a researcher also and I believe that nothing has been "lost in translation". I'm sorry - I meant "lost in translation" in the sense we English apply to information passing through several stages of processing and sometimes being incomplete rather than the literal sense - hence my use of inverted commas. I didn't mean it to impugn the veracity of your translation of the Gakken in any way. 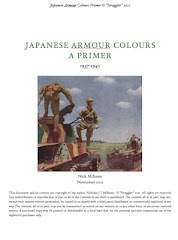 It is more about the underlying documents which gave rise to the statement in Gakken and how they were interpreted in a historical rather than linguistic sense. I say "maybe" - and indeed "maybe not"! Please advise the location of the relevant text in Gakken so that I may explore it further, thanks. I take your point about the textile plant!